By now ‘Weapons of mass distraction’ (WMD) is a very commonly used phrase. Urban dictionaries define it quite accurately as politically charged non-issues used to distract those who live in a faith-based reality from the catastrophic failings of a political party, regime or ideology. Very often this means using scapegoats. I would use ‘faith’ here to mean MSM as against religion. ‘Weapons of mass distraction’ is also a movie where two filthy media moguls with the dirtiest secrets wage a war to own a football team. In their dirty battle they destroy the lives of many ordinary people. Sounds very much like our own corporations, political parties and media, doesn’t it? Even the innocent looking mobile or smart-phone is a WMD. Look around anywhere or even on TV screens, you will always find a lot people staring at their devices even when it’s not ringing or vibrating. After Grammar specialist Ashwani Kumar and “innocent” scape-GOAT Pawan Kumar Bansal resigned on May 10 the Tiwaris and Singhvis had disappeared from the media. Fortunately for the Congress party the Pakistan elections were around and their best friends at NDTV and CNN-IBN kept their channels busy with non-stop coverage of Imran Khan and when they found time they covered the rest of Pakistan. A day earlier Barkha Dutt was already in Pakistan at the hospital where Imran Khan was being treated and, with Musharraf in jail too, she found the only interesting person in Pakistan to interview was one Aleema Khan. This Aleema is the sister of Imran. This was a lot like the Priyanka Gandhi interview of April 2009 except in more tragic circumstances. This art of distraction is also called “Wag the dog” which means to purposely divert attention from what would otherwise be of greater importance, to something else of lesser significance. By doing so, the lesser-significant event is catapulted into the limelight, drowning proper attention to what was originally the more important issue. The expression comes from the saying that 'a dog is smarter than its tail', but if the tail were smarter, then the tail would 'wag the dog'. On Sunday, May 19 N. Srinivasan held a press conference over the latest IPL spot-fixing scam. For a scam which the media has been on and on for the last 4 days the meeting concluded in about an hour and his presser lasted longer. One reporter (probably from one our doggy channels) asked Srinivasan if legalising betting would solve the huge problem. You see, this is where the tail is smarter than the dog. Srinivasan answered the question ambiguously enough to make no sense. But it doesn’t occur to the reporter or our MSM in general that even if betting is legalised, match-fixing and spot-fixing cannot be legalised (Thanks for the wisdom, Rahul Kanwal). Both are two different things. Betting is legal in many countries, match-fixing is not. This nonsensical presser followed by Rajasthan Royals’ management stating they will file an FIR against the erring players was one more instalment of mass distraction. Let’s take a look at the chain of events. Sreesanth and others were arrested late night on May 15. The spot-fixing incidents as claimed by Delhi police occurred on May 9 or earlier. So why did they wait till May 15 to arrest the accused especially when they had flown to different hotels away from their HQ? Interesting, eh? It so happens that on May 15 Sreesanth was sacked from the RR team by the management (see TOI report). A mere co-incidence? Okay! So on May 16 the story explodes and the Delhi PC, Neeraj Kumar, is all over the place on all channels beaming like a “dulha” on the major catch he had made (The pic is from his interview with Sunetra Choudhury on NDTV). And what does Delhi police do? Every hour they release juicy titbits to the media on how Sreesanth cried, there was a confession, there was no confession, how many bookies were involved, Dubai was involved, Pakistan was involved, Dawood was involved and blah blah. So like the box of parrots they are, our media were waiting to relay every bit of scrap being thrown at them. TimesNow even interviewed Himanshu Roy, the JCP of Mumbai who made no significant comments on the episode. Splendid! The very next day (May 18) Himanshu Roy holds a press conference of his own in Mumbai to tell the world that they had seized a laptop computer, an ipad, and a mobile phone of Sreesanth. You know, the Delhi police went to Mumbai and arrested Sreesanth but the Mumbai police must have told them “please leave something for us”. So our very considerate Delhi police left these items for their Mumbai friends to mop up. So after the Delhi police left, the next day Mumbai police grabbed all these belongings of Sreesanth. This is truly inter-state police cooperation at its best, isn’t it? 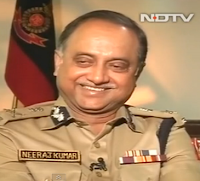 So after May 16 and 17 were dominated by the grinning Neeraj Kumar, his PR guys they said “over to Mumbai” and on May 18 Mumbai police hogged the limelight. Three days over a spot-fixing scam? Since the spot-fixing scam goes beyond borders and indicates Hawala transactions there must be room for some more to join the fun. Enter the Enforcement Directorate! What do they say… “maan na maan me tera mehmaan”! So the ED jumps in and says they will now start a money laundering probe (Outlook). So in a couple of days you might find some ED guys on TV telling us what they are going to do, when they are going to do and how they are going to do it. That reminds me. The original IPL guy that the ED is still chasing, Lalit Modi, is happily settled in London and is on TV every time something happens in IPL. And Modi lectures everyone on the chastity of IPL when he was in charge. Talking about ED reminds me of another one. This Rajasthan Royals, the focus of all attention, was slapped a 100 crore fine by the ED for foreign exchange violations. Did they pay up? What happened to that? If you go the Telegraph article I challenge you to decipher who the owners of RR really are although the face being shown to us is that of Shilpa Shetty. There are names of so many finance companies and even Lalit Modi’s ‘jiju’ Suresh Chellaram is mentioned. All pretty complex as most IPL owners appear to be. And Shilpa Shetty says “Zero tolerance”. I believe her. Maybe the IT and ED should first scrutinise funding of the owners of each IPL team with a fine tooth-comb before they venture into the spot-fixing scam which is of much lower value. But why should the news media be so carried away with this for over 4 days and still be going on and on about it. Surely, even if they are parrots they can’t be that dumb, can they? Or may they are wilfully so. All other issues of national interest have been pushed aside as former diplomat KC Singh laments. In the last 4 days other issues are covered only as a “break” like the Chinese PM’s visit or the resignation of two corruption-tainted ministers in Andhra Pradesh. Throughout this period there is a massive “Bharat Nirman” campaign running on all the channels. Mind you, these are not small 5-10 seconds ads, these are mostly full 90 seconds ads or even more. Other accused in the case include Jagan, V. Vijay Sai Reddy, Puneet Dalmia, Y. Srilakshmi, V.D. Rajagopal, Sajjala Diwakar Reddy, Sanjay S. Mittra, Neel Kamal Beri, Joy Deep Basu, Raghuram Cements (presently Bharati Cements), Dalmia Cement and Eswar Cements (now merged into Dalmia Cement) in that order. The continuous coverage of the IPL spot-fixing, with mostly nothing new to add, is simply mind-boggling. I don’t believe that media houses have only now realised that the late YSR was running the most corrupt State govt in the country. The corruption loot could well match the 2G levels. Jagan Reddy, YSR’s son who is currently in jail under CBI cases, alone is reported to have acquired assets worth over 40000 crores. Amazing for a guy who had nothing much to start with! The Congress corruption in AP is not even debateable. No channel is demanding resignations and no channel is even talking about it. Even the UP Lokayukta decision to recover 1400 crores from Mayawati & Co. is blaring on all channels. Lately, NDTV is obsessed with Afghanistan. Understandable! WMD apart, someone is clearly walking the dog. I wonder who. The world has come to a stand still. There is nothing else happening other than "IPL Spot Fixing"
Do all the channel have "Tacit agreements" to broadcast similar progs.? Every time I read MC post and I say this is THE best article ever! 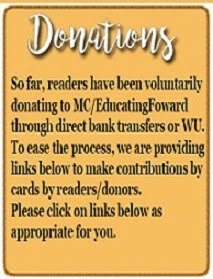 While our impotent opposition is doing nothing, I would say MC is one man army fighting the battle single-handedly through this awesome blog. I have no doubt that this blog will be remembered in history of India! Very true.. I really hope efforts of this blog don't go waste. Each time I read this blog I feel sad for my country and regret my helplessness. I pray to mother India to enable atleast one of her sons to eradicate all evils from her land. Well, Nawaj Sharif can explain to Nitish on how to beg in front of international community based on Pakistan's experience. Where is that moron Arnab Goswami who carried out a series of reports on a president of opposition party. Why is he not doing a series on Congress CM in AP and Mayawati and company in UP. Arnav, a report will not do, we want a series till Congress/BSP crumble under the media glare as you killed Gadakari. Why MSM is not asking how Jagan could amass wealth of 40,000 Crores. Can Jagan or Mayawati share their secret formula to become filthy rich in short time? The Congress propaganda channels like NDTV, CNN IBN, Headlines Today are reporting only Y S Jagan's amassed Rs.40,000 crores when his father and Sonia Gandhi's favorite chief minister YSR was alive. But the whole loot runs into at least Rs.1,50,000 crores and half of which went to Congress chief (Sonia Gandhi). Why is media silent on this? Because they got their cut? APCL is another major blooper by BJP. The party was optimistic about Jagan's support in 2014. Hence no attack on Jagan. Thus unable to target AP Congress and Madamji. With arrest of Gali brothers in mining scam the possible link with Jagan was broken. BJP had opportunity to expose Jagan's misdeeds as connivance of YSR and Madamji. For unknown reasons they failed to bring it out even before Karnataka elections. By sacking the 'tainted' ministers now Madamji is trying create 'clean image' of congress in AP. Few more ministers will be sacrificed. While they dine with Jagan in jail, congress will transfer the 'corrupt image' to late YSR and the jail gang. By keeping Jagan in jail till post-elections they have good chance of retaining 20 LS seats (of existing 33). Recovery in Karnataka and lesser damage in AP will keep Congress's hopes of UPA III alive. WMD, APCL new abbrievations and a well written article! So sad that what ever the efforts put up by you is not enthusiastically shared by BJP to corner the MSM and the cong's corruption in AP. Failure by BJP to handle, counter the paid crooks of MSM aka NDTV, CNN/IBN, HT and their hindi cousins and also to some extent TOI and Arnab would take them no where. If they think to diplomatically campaign without naming SG, #Pappu in all the scams of UPA II during the upcoming elections then pity on them. A lost opportunity by opposition would never come back to them and better they wake up to the reality of MSM and to counter them to put forth their anguish against scams/corruption. Development can take the second place, but very first issue must be corruption and the gigantic scams of UPA I& II which need to be highlighted and a series must be run on these to awake the people of India during the coming elections. Only then there will be a ray of hope for our beloved nation. Distraction had to happen since after those two wickets, we all expected tough time for PM (who should have resigned too). But, by taking the focus off it, they made life easy for him. BTW, NDTV loves MMS I guess !! Spot on article and now they just release info about a bollywood actor being involved and guess who some small time actor another juicytitbit. MSM has something new to chew for the next couple of days again. As for AP, I can tell you that whatever late YSR (father of Jagan) followed was equally followed by the Central leaders in making money. Be it floating fake companies and buying shares in Jagan's companies by crony capitalists, its like a deja vu. If Paid media acquired half the sin by not mentioning corruption of all the congress leaders, it has acquired the remaining half by closing eyes to just YSR and his family. Not many people outside AP knew that YSR is not only the most corrupt politician in the history of AP but also but he bribed enough powerful journalists in his state that the incestuous relationship that you talked about was far worse in AP than anywhere. With the Exception of Eenadu and AndhraJyothi groups, every media and journalist have brazenly supported this rascal and anybody who pointed of corrupt practices were literally hounded out of the state. YSR was easily the most crooked and corrupt politician in history with now his Son taking up the mantle, the worst part is still to come! Jagan (for unknown reason, atleast for me) is now the most popular politician in AP today and we helpless citizens of the country can only hope that some wisdom dawns on the people of AP. How do I get in touch with you? Alternatively, can you mail me from the "Contact" link on the right margin of this page? Watch the moron Rahul Kanwal of HT in the opinion polls run up! I seriously doubt these opinion polls that are 'fixed'. After the announcement and implementation (through ordinance route) FSB and DBT Opinion polls by these paid crooked MSM would prop up that project that more seats to cong as well as UPA that would enable manipulation of EVMs. BJP has a dumb head in the name Mr. Ravi Shankar Prasad who mumbles and keep quiet whenever TOI Arnab raises his voice to accommodate Cong's morons on TVs. Talking development in BJP ruled states would not enlighten the voters, but bringing out the scams/corruption by SG/#Pappu would do the damage to the psyche of electorate. There is another 'boot licker' to the list @Prabhu Chawla. Read his article in New Indian Express dt 19 May 13, he hails the 'four pillars of wisdom' - Digvijaya, Janardhan Dwivedi, Jairam Ramesh and Ahmed Patel. He hails 'Rahul Baba' and only he and his lieutenants would bring in about the change that Bharat wants badly. Sickening! Opinion polls are a mere hogwash! BJP should seriously need some strategy to counter these MSM and their ploys! Description of Srishanth on the media ranged from "tip of the iceberg" to "kingpin" or "linchpin" (as Times Now described). To this day no channel has investigated who the owners of each team are as we get to see only the glamorous ones hogging the limelight. They are not capable of doing a thorough job of even WMD. Till now we all know how media keep fooling the people.. diverting from all important issues, regarding IPL we can't blame Media completely as people of India are crazy about IPL(cricket)... they think IPL..they breath IPL(cricket) they eat IPL(cricket).. they sleep IPL(cricket).. so whenever there is a news related to IPL.. the no. of fools watching News channels go up. so obviously TRPs goes up.. so does News channel revenue.. 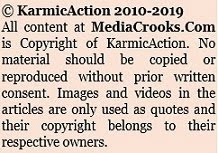 The main reason is fool people who promote such games which only makes money for rich.. (Media duty is to expose the malpractices but looking at history we rarely expect them to do that, they are cunning foxes of the forest and shows insanity in their approach). so 60 years are over still we have Congress in power, similarly we cant change Media.. and it will be same in years to come.. only solution is to cut their corrupt roots and throw them out.. change wont happen.. we need to create it.. unless people change nothing is going to change in our country.. we need more people like Ravi to spread awareness, bring out the truth..
For those wondering why the corrupt to the core KhanChris keeps making comebacks in the elections,just visit one of the IPL stadiums and see for oneself the surfiet of imbeciles living in this country.The ones who have no connect with the ground reality. Even the media is abuzz 24x7 with stories about the conmen who are taking the nation to for a ride in the name of IPL and these Rip Van Winkles are celebrating in the stadium like as if there is no tommorrow. I see a great future for KhanCHris in the future elections. Well said. The mediocrity of us indians is responsible for the sorry state of affairs . Why just khangress, any criminal, idiot, swine can continue to misrule us and the majority of us will remain imbecile and stupid. Yesterday I saw on the TV, after the congress dinner ended, NDTV Hindi's political editor, Manoranjan reported that the dinner was very delicious, (may be to prove that)he was also burping during his reporting. "Let your future be beautiful, happier and secured so that it do not get determined by your present. Support Narendra Modi and Follow him on @narendramodi on Twitter with #NaMoForce." You were so correct !! NDTV today aired a prime time show about HINDU TERROR all of a sudden !! Man..this media is so so crooked !! 54 mins long but its worth it. If too busy then start 30:00 onwards.